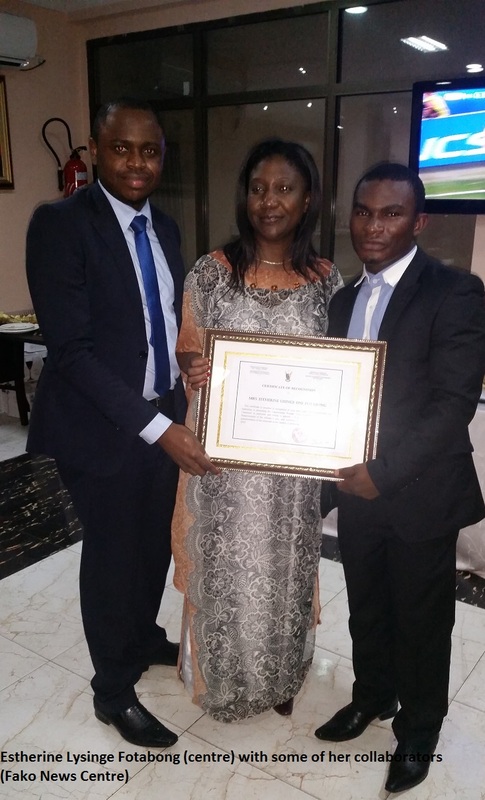 Mrs Fotabong on Thusrday the 7th of July 2016 received a certificate of recognition from the honourable Minister during a dinner the minister offered following the close of the Cameroon Gender Climate Change and Agriculture Support Programme (GCCASP) First Partnership Platform and Donor Meeting that took place in Yaounde. While presenting the award to Mrs. Fotabong who is based in South Africa, Prof. Abena praised her for her leadership, hard work and tireless dedication in promoting Cameroonian women in particular and the African woman in general. She also commended her support to rural women and her contributions to transforming Africa through sustainable development. The minister opines that, Mrs. Fotabong’s actions will speed up the attainment of Africa’s Agenda 2030 and Cameroon’s Emergence 2035. 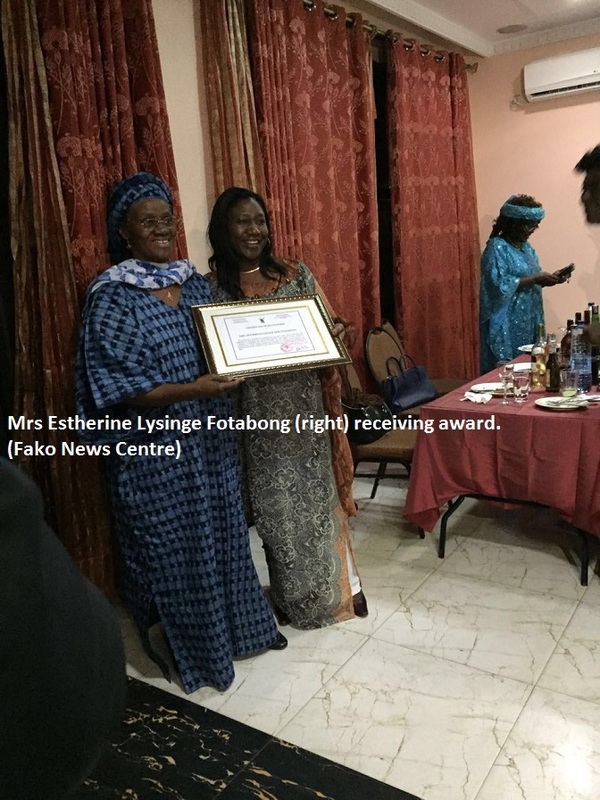 Reacting to the award, Mrs. Fotabong expressed profound gratitude to the Cameroon Government, particularly, the Ministry of Women’s Empowerment and the Family. She dedicated her award to the millions of African women who work extremely hard to make the continent a better place for its people. Mrs. Fotabong also maintained that she will proceed with her commitment to ensure concrete actions that will result in making changes at the grass root levels, especially, supporting and empowering women and youths. This Cameroon GCCASP First Partnership Platform and Donor Meeting was a two-day event involving stakeholders from a wide range of activities including International Organisation, the private sector, sectorial ministries, research institutions and women groups.